University College announces the appointment of three staff members to the University College Diversity Committee. As part of the continued commitment to creating a more welcoming, respectful campus climate, the Diversity Committee will work with the Syracuse University Inclusivity Leaders Assembly (an assembly of inclusion and diversity leaders from each of the schools and colleges) to articulate and enact the University’s diversity and inclusion goals and initiatives. 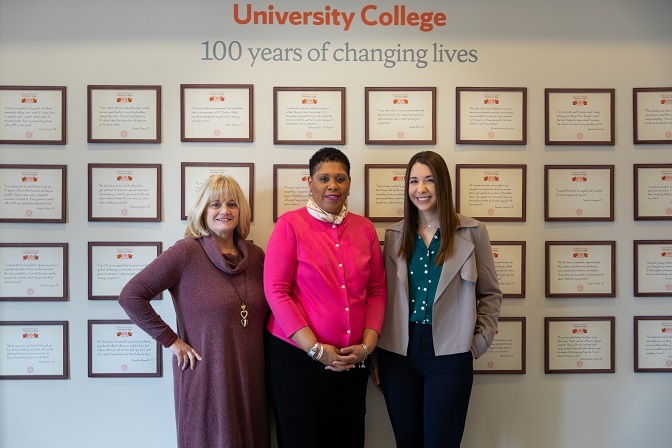 Margaret Thompson, Marsha Senior and Christina Huerta will be tasked with promoting diversity and inclusion among students, staff and faculty through training, awareness building and events. Committee members will serve a one-year term. University College offers a variety of online and residential degree and certificate programs. For more information, visit https://parttime.syr.edu/ or call 315.443.9378.